Barrhaven car loans in Ottawa for bad credit, no credit, Bankruptcy, and Repossessions - Great Rates - Fast Delivery - Apply Today! Do you need a specific vehicle? Ottawa's #1 Bad Credit Car Loans By Dilawri! Fill out an approval form today! No requests refused! Request A Car Loan Now! Car Loans & Auto Loan Approvals! NO REQUESTS REFUSED for auto loan financing! Approvals for everyone, an easy application, fast approvals, and low payments! For those with credit issues, and even no credit, all you need is 1 month on the job! You too can join millions of others, build your credit rating to get a better score, establish credit to help with other loans, and get approved for a car loan today. Whether you're new to the country, have a below average credit score, or suffer from an unfortunate credit problem, we can approve your application right now to get your credit on track! What if you've tried and been turned down before? Even if you've tried somewhere else and have been turned down we can still secure a quality auto loan approval for you. You will get approved and build your credit! Our finance specialists are among the best in the industry. We will do everything possible to secure your car loan. The highest levels of experience and dedication make us your best choice whether you've been turned down before or not. from owning a new vehicle? No matter what your credit score is, we can help. 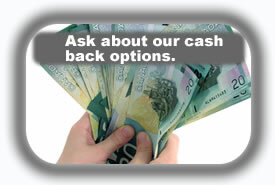 We help the banks approve people that have good, fair, bad, or no previous credit history. 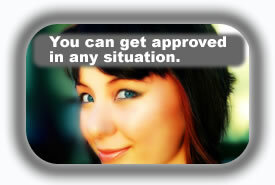 We provide auto loan approvals for people that need zero or no money down regardless of credit history. We specialize in dealing with difficult and unfortunate situations such as bankruptcies, those currently behind on existing payments, and repossessions. Fill Out Our Easy Credit Application! With the power of 6 new car dealerships and 6 used car lots we provide options from one of the largest selections of new and used cars in Canada, with thousands of new an used cars in-stock, and in fact if we don't have the car you like in stock we'll get one for you! We have many in-stock vehicle choices available for immediate delivery including Acura, Audi, BMW, Buick, Cadillac, Chevrolet, Chrysler, Daewoo, Daihatsu, Daimler, Chrysler, Dodge, Jeep, RAM, Eagle, Ford, General Motors, Geo, GMC, Honda, Hummer, Hyundai, Infiniti, Isuzu, Jaguar, Jeep, Kia, Land Rover, Lexus, Lincoln, Mazda, Mercedes-Benz, Mercury, Mini, Mitsubishi, Nissan, Oldsmobile, Plymouth, Pontiac, Porsche, Rover, Saab, Saturn, Subaru, Suzuki, Toyota, Volkswagen, and Volvo. A car loan will benefit you! 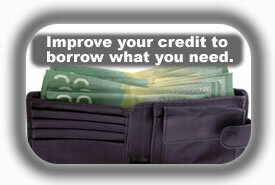 Financing an auto loan on your new car will improve your credit score. You'll be able to buy other things you want with your improved credit rating. If you have had credit issues with car loans, bankruptcy car loans or no credit car loan problems, we can arrange the financing you need for the car loan you want....help yourself get started today re-establishing your credit and building your good credit by contacting us now! Don't Wait A Second Longer! Get Approved Right Now! Issues that hurt your credit score? 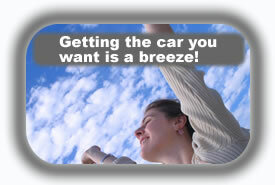 Our auto loans and special financing are not necessarily just for those with credit issues. There are other problems people encounter which are not due to poor credit history. We provide auto loan approvals for other challenging situations which many people face when trying to get a car loan such as self employment, short job time, non-established credit, or being a first time buyer. What Are You Waiting For? Get A Car Loan! ✓All car loan credit applications are dealt with in a prompt and confidential manner. ✓All clients are dealt with in a friendly and courteous fashion and every effort is made ensure the client vehicle selection is delivered based on their financial requirements. automotive lenders evaluate loan offers. the value of the cars you are considering. make it work in your favour. you deserve when buying your next vehicle. and sub prime automotive financing all across Canada.